When I think of a perfect meeting place in the summer, it would have to be somewhere that serves gelato. This means it should be in Italy. Here are some places I’d want to meet and get a refreshing gelato too. See you there! For more examples look here. This entry was posted in Italy, Travel and tagged gelato, gelato shops, summer. Bookmark the permalink. It would be really fun and of course the gelato makes it a perfect meeting place! Wow, so many options, they sure know how to make them enticing. How could one pass on the world champion? It really would be difficult to select just one place – maybe it would be best to visit all of them and compare the gelato! You’re going to need help with that. I’d be happy to tag along! Sounds good Patti – Italy is great anytime! 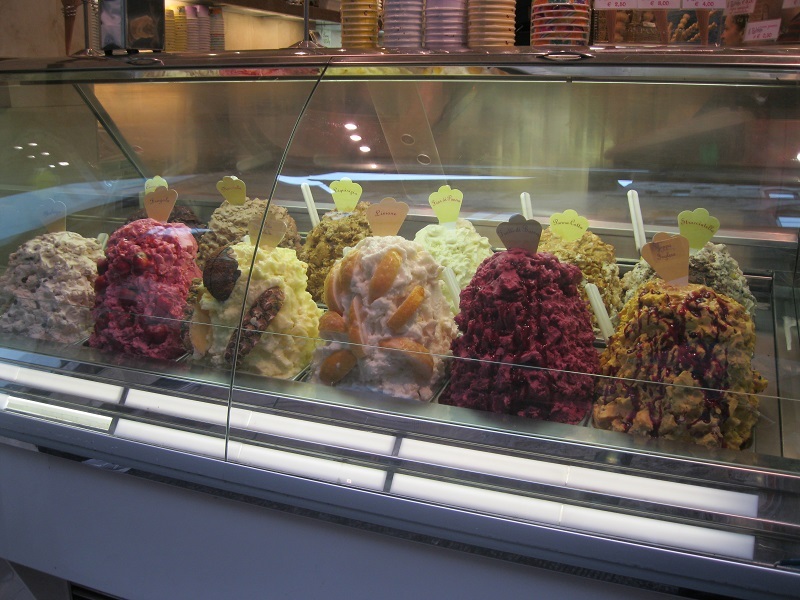 I have to stop at gelato shops as often as possible in Italy – maybe I’ll discover a new flavor! That should be great Jo – the part about Paris sounds good too! Yep, great and delicious to meet :) I love Italian gelato! I think a meeting and then gelato go very well together! Oh I’ll be there! Yumm! Gelato definitely makes a meeting place even better! Yummy! Just had breakfast, but this makes me want gelato NOW! LOL! Say the word, and we can meet up for a treat. Never to full for gelato, right?!?! Yay! I am going to Italy in a month, your post made me so excited!! =) Enjoy!